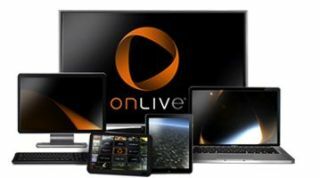 Cloud gaming service OnLive had admitted to suffering technical difficulties in its attempts to bring the platform to Apple's iPad. The recently-restructured company announced its plans to launch on the tablet in December 2011 but, approaching a year later, iPad gamers are still waiting for their fix of console-quality streamed titles. For once, Android users have bragging rights as they have a fully-functioning application for devices like the ASUS Transformer series and the Samsung Galaxy Tab line. Most folks assumed that it was Apple's approval process holding up the launch, as the subscription service could be seen as a threat to games sales through the App Store. However judging by comments made to Eurogamer for new CEO Charlie Jablonski, is seems Apple is more concerned with the quality of the experience rather than any impact on Angry Birds downloads. "Apple, and rightly so, is as concerned about what the end customer experience is as we are," Jablonski said. "I don't want to put something out there where you don't sit there and go, gee, this really works. "We are looking at ways to completely integrate a real game playing experience in the tablet that's mutually beneficial to both of us. There are technological challenges, and like with any partner discussion it's got to make business sense for them as well." Jablonski refused to be drawn on speculation that the hold-up is due to Apple's instance of taking a 30 per cent cut of any in-app purchases made using the application. "I'm not declaratory about discussions that may or may not be ongoing that lead to something in the future. It's just not my style. It's impolite to declare those things." The discussions, and the wait, will continue.